Hands down you need to accessorize for your wedding. The right accessory can transform any outfit from fabulous to wowy zowy. Jewelry mega star Erin Gallagher knows all about the power of accessorizing. 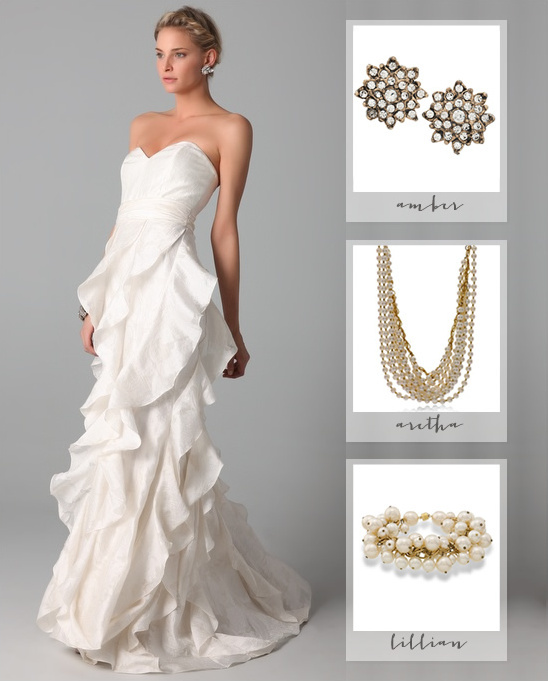 Literally a one stop shop for all your custom bridal and bridesmaid jewelry. You can customize all of their styles in real time. Choose a style, gem and chain color and watch it magically change right before your eyes. 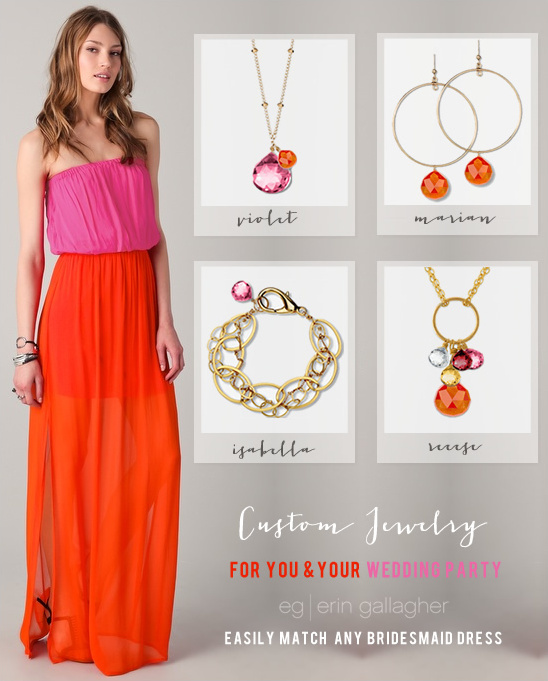 With the entire rainbow to choose from, you can match any bridesmaid dress, favorite color or gemstone. We love the idea of giving each of your bridesmaid a different piece, but using the same gem. A fantastic, personalized gift that easily matches their wedding look. Super bonus! 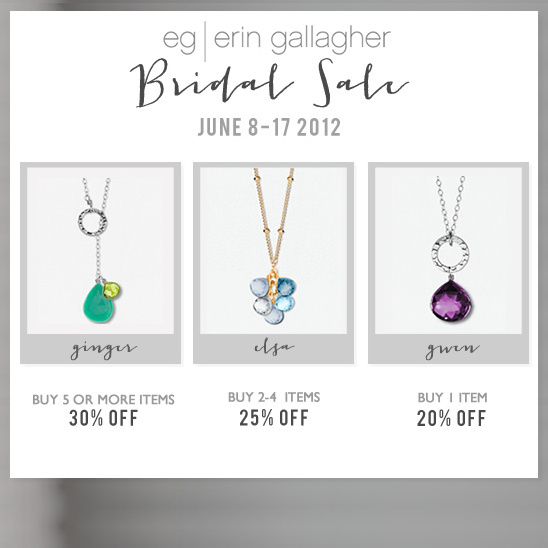 Erin Gallagher has amazing packaging, suede pouches and sleek magnetic boxes. All wrapped up and ready to go. Order with ease knowing their return policy is easy. We love that all of their jewelry is hand-made in Chicago. Buy the color blocking bridesmaid dress above here and the Badgley Mischka wedding gown shown below here.